Every reader needs to spend a little time in Hope Harbor. This small coastal town has a way of bringing clarity when life becomes confusing. Just ask Eric Nash, a driven attorney who seems to have lost his way. Discover healing as you soak in the tranquil setting. Kind of like BJ Stevens, an up and coming architect with a battered and bruised heart. In need of a miracle? You might want to spend some time with Eleanor and Luis and discover their story. While you're in Hope Harbor, be sure to try Charley's fish tacos...he might share a bit of wisdom with your order. Either way, you're in for a treat. 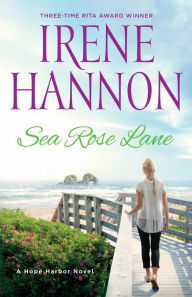 Grab an iced tea, put your feet up and take a memorable journey down "Sea Rose Lane". You'll be glad you did...highly recommended. So glad you enjoyed this, Deena. Thank you for the great review!